Dubai: Gold jewellery buyers in the UAE are in for some bargains if they feel like popping into the shops today, as the precious metal has recently slumped to its lowest level in two weeks. Gold inched lower on Friday after falling below the key $1,300 level the day earlier, owing to the rise of the US dollar. Spot gold was trading at $1,290.7 per ounce as of 3:30pm. For those looking to buy new jewellery in the UAE, 24-karat gold can now be had for Dh156.25 per gram, cheaper by Dh3.50 per gram compared to its recent peak last March 21, the latest price list from the Dubai Gold and Jewellery Group showed. Buyers of 22K, 21K and 18K gold can also expect to spend less, with retail prices set at Dh146.75, Dh140 and Dh120 per gram, respectively. Overall, gold fans in the UAE could save approximately Dh122 for every 35-gram jewellery, if they buy today. For those who are waiting for more price declines, however, there isn’t any assurance that the precious metal would hit another major slump this week. 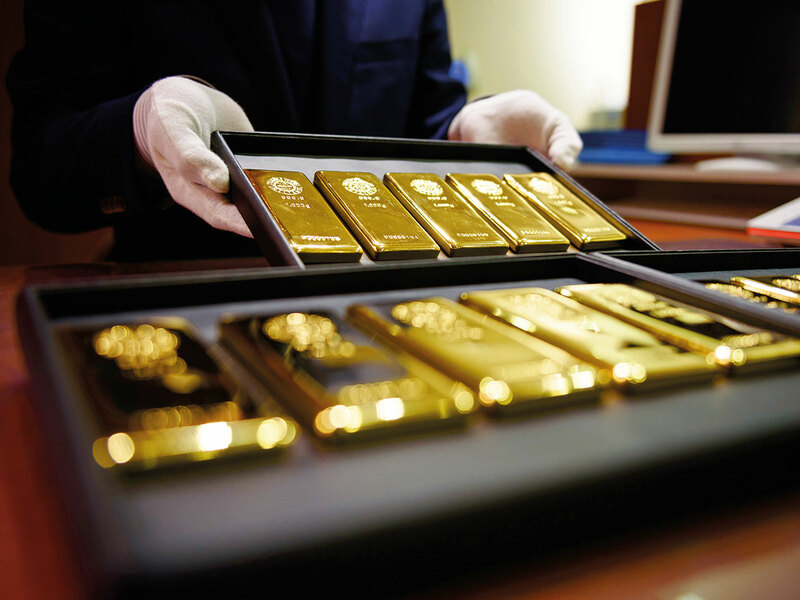 Some analysts said that gold could regain its lustre if the central banks continue to give dovish signals, and if that happens, prices at the souk and malls in the UAE could again go up. “Major central banks like the US Federal Reserve and European Central Bank (ECB) are on the dovish path and this is good for a non-fiat asset like gold. In fact, bets for a rate cut in United States for later part of the year have increased significantly,” said Vijay Valecha of Century Financial. He had earlier predicted the price of 24K to rise to 158.70 per gram. In the latest gold survey conducted by Kitco, more than half of professionals in Main Street (53 per cent) are betting on the precious metal to rise again this week.